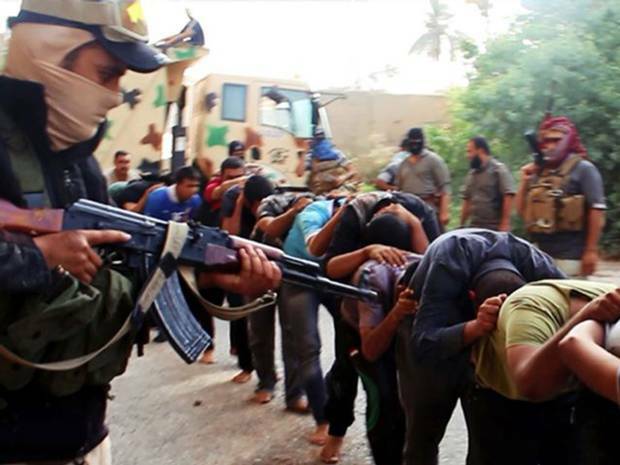 Leading to a slaughter?Islamic State soldiers with captives. Beheadings, mass slaughter, terrorist bombings — all of this is accompanying the advance of the Islamic State with its recent victories in Palmyra, Syria, and Mosul, Iraq. These are having repercussions around the world, striking fear in the hearts of millions from Ethiopia to Nigeria to the Arab world itself. It is also affecting US politics as the US presidential elections near, and the different contenders are increasingly talking about US foreign policy. This is partly to distract attention away from the massive inequality in the US, but also because of the rising threat to US global control posed by the Islamic State. The fact that the “diplomacy” approach of Obama has been an abject failure in stemming this rise is leading some of Corporate America to a swing back to the intervention approach of the Bush years. This is having a direct effect on domestic policies, as the more interventionist Republicans are getting more support. That’s why it’s important to understand who the Islamic State (IS) is and what were the conditions that led to their rise, first in Syria and then elsewhere in the region. One of these capitalist forces was many of the members of the ruling class of the Arab world, especially from Kuwait, a country dominated by the Salafi (extreme Islamic fundamentalist) clergy, similar to Saudi Arabia. There, in 2011 the Syrian ex-pat (refugee) community joined with some of these fundamentalists and their “charitable” non-profits to raise money for the Syrian revolt. According to a report from the Brookings Institute, this gave them access to “philanthropic businessmen with deep pockets and a reputation for generosity.” This same report claims that they raised hundreds of millions of dollars in just one year. As the revolt from below in Syria hit the brick wall of military repression by the Assad regime, some of the “supporters” in Kuwait started to provide military support. They sent representatives to Syria to document the growing military battle and use that as propaganda to raise money. They specified, for instance, that $800 would buy a directed missile or a rocket-propelled grenade launcher. The Kuwaiti government, which is close to the US government, was unhappy with this, as were individual Kuwaiti capitalists. Abdul Hameed Dashti, a former member of the Kuwait parliament, for example, explained, “I am one of the biggest investors in Syria since 1985. I have 2400 employees there. They are jobless [because of the war] but still taking salaries.” However, they couldn’t do anything since the regime leaned on the Salafists for political support in general. The same was true of some of the Kuwaiti (and also Saudi) capitalists. 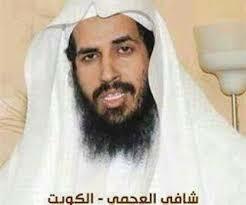 Salafi cleric Dr. Shafi al-Ajmi of Kuwait: He wanted the “pleasure” of personally slaughtering Shia captives. in Syria, Dr. Shafi al-Ajmi, a Salafi cleric and member of the faculty at Kuwait University’s College of Sharia and Islamic Studies, reportedly called on the Sunni fundamentalists in Latakia to save ten captured (Shia) Hizbullah so he could have the “pleasure” of slaughtering them himself. Originally, the main fundamentalist group operating in Syria was the al-Qaeda connected al-Nusra Front. Their success led to greater aspirations – the return to the days of old and a “caliphate” – an Islamic state that included parts of Syria and Iraq (and more). From this idea grew the group first known as the Islamic State in Iraq and Syria (ISIS) and later simply the Islamic State. Success breeds success, including military success. For instance, it is claimed that the IS 2014 victory in Mosul (Iraq) netted them up to $1.5 billion. But lacking the right social conditions, all the money in the world can no more build a movement than can all the seeds in the world grow plants on barren soil. What are the conditions that allowed for the growth of the IS? And so, thousands were drawn to the IS from across the globe. 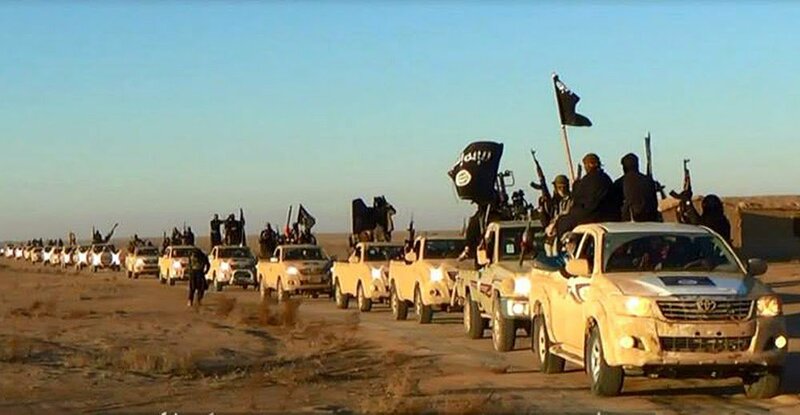 How do we classify the Islamic State movement? It has the backing of part of the capitalist class in the Muslim world, but clearly it is not completely under their control. It calls on frustration, hatred and resentments from a history going all the way back to the Christian Crusades. It rules through repression and outright terror. They also target certain groups for special oppression and murder – especially Shias and women in general. These are all the classical qualities of a fascist movement. The fact that it harkens back to a bygone era – the era of the Islamic caliphate (661-750 A.D.) – is also reminiscent of fascism, for instance the movement of Mussolini. There is also the political vacuum: In many of these countries (Iraq under Hussein, Libya under Qadaffi., and Syria under Assad Sr.) the old regimes came to power based on radical pan-Arab nationalism. This included a high degree of nationalization of industry and state intervention in the economy. But this was based on the national revolts of the 1950s and ‘60s as well as the role of the bureaucracy of the Soviet Union. With the end of both of these, and with the rise of the economic crisis of capitalism, neo-liberal economic measures became the order of the day. Both Assad and Qadaffi turned to such reforms. With the weakness of the workers’ movement world-wide, reactionary religious fundamentalism filled the resulting vacuum. 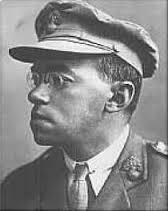 Vladimir Jabotinsky: The face of Zionist fascism. Western capitalism, especially the US, as well as the Israeli regime, are faced with a dilemma: On the one hand, Islamic fundamentalism destabilizes not only that particular region, but the entire Islamic world and beyond. On the other hand, they want to see the downfall of the Assad regime. And what’s more, their opposition to the Islamic State is bringing them closer to the Iranian regime, because the Shias are under attack by IS. All of this is just one more example of a world spiraling out of control. The dangers include the potential for the use of nuclear weapons (beyond simply depleted uranium armor piercing shells, as the US military used in Iraq). 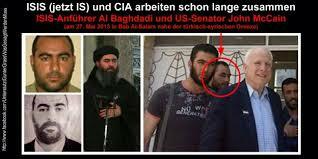 US Senator John McCain, posing with Islamic fundamentalists, including IS leader Abu Bakr al-Baghdadi. Some on the left in the United States are inclined to give some sort of support to the Assad dictatorship, just as they did for Qadaffi before he was overthrown. They reason that since US imperialism wants these dictators overthrown, then there is a reason to back them to some degree. 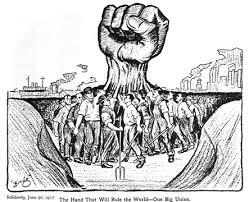 That is a huge mistake, one based on the inability to see the working class and its organizations as the only potential force that can resolve the issues. We saw an example of that potential in the workers’ and peasants’ councils that were organized in and around Taftanaz, Syria, back in 2011. From there to the resistance of the Greek workers to austerity – that is the only basis for a new movement that can resolve the issues and prevent a true, outright global disaster. It seems that ISIS owes its success more to the paralysis and demoralisation of its opponents than to either its own strength or to support in the population. One Iraqi general claimed that ISIS took control of the million-strong city of Mosul with less than 500 men but the Iraqi army units of many thousands fled before engaging them.